The Academy is a U.S based agency representing selected directors throughout Europe. 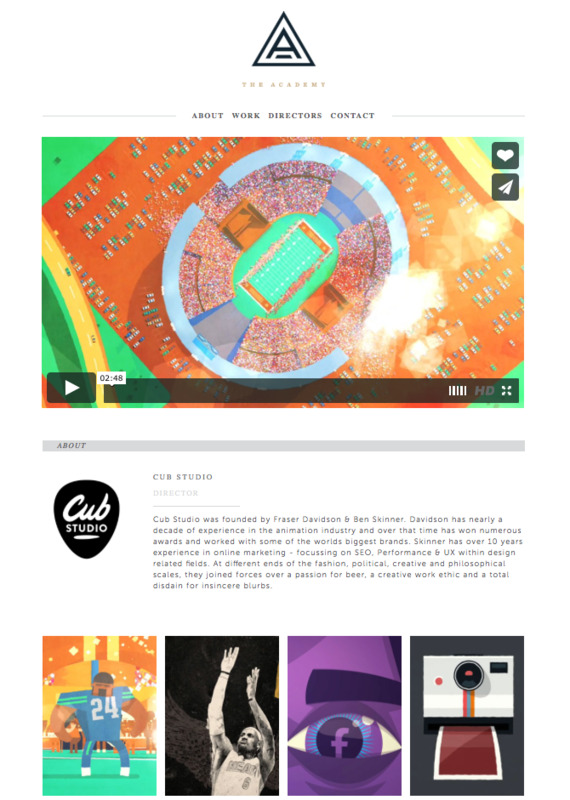 Cub Studio finds itself in great company with fellow directors such as BRIKK, and We Think Things also on the roster. We're excited by the opportunity and look forward to working with The Academy on new animated projects.